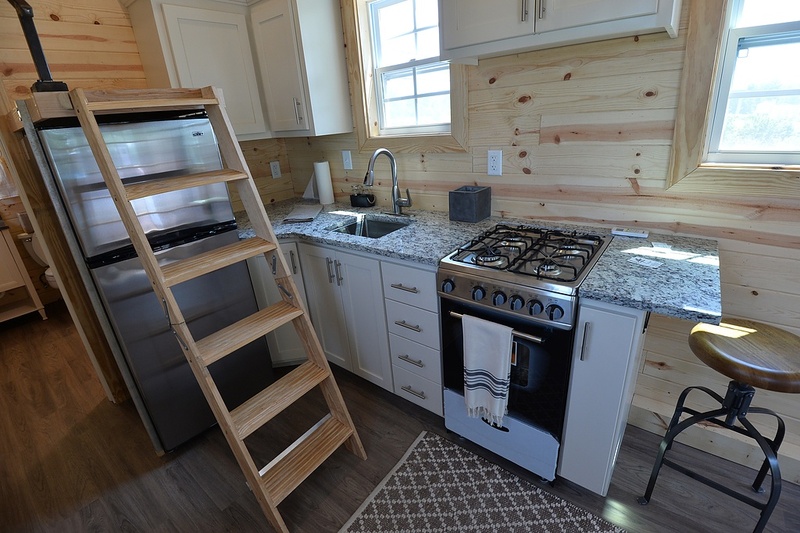 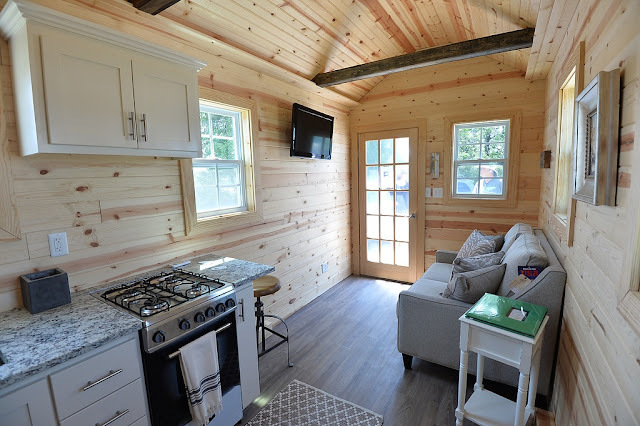 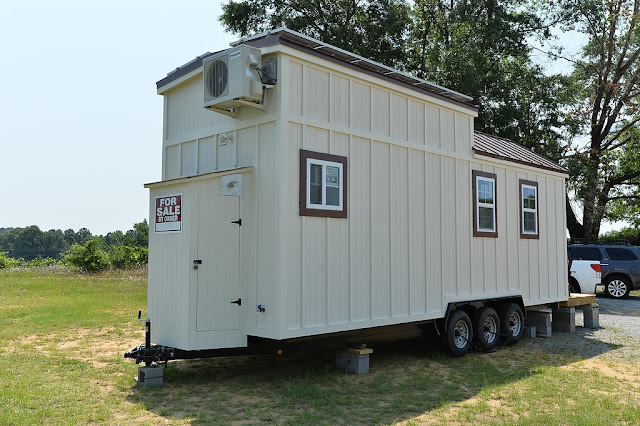 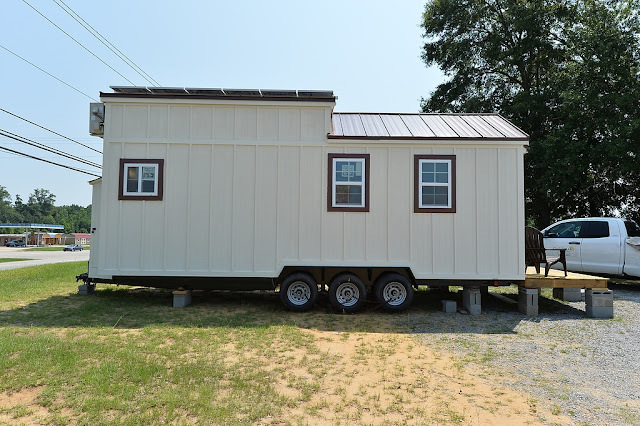 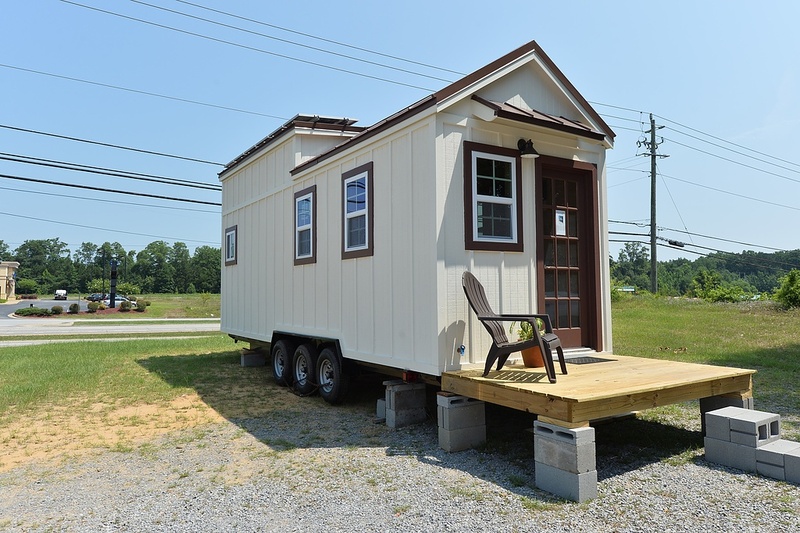 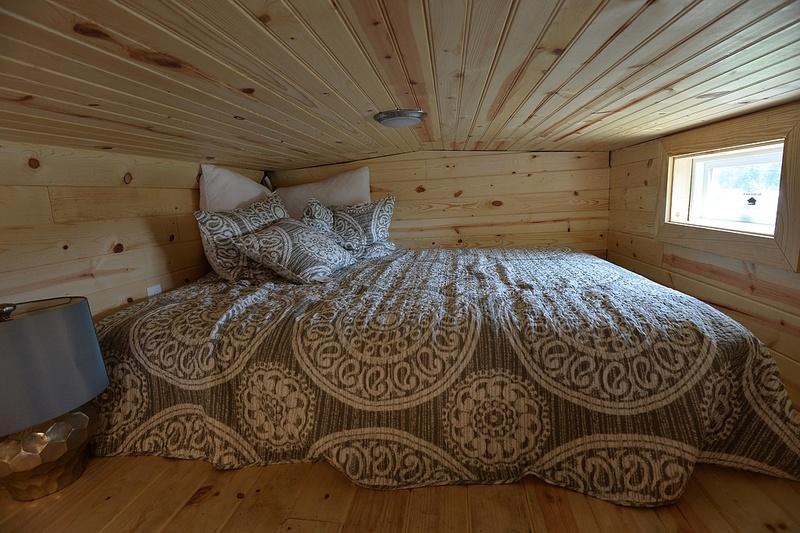 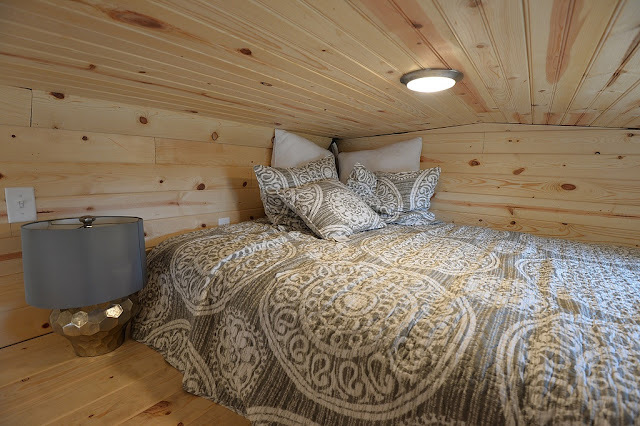 This charming 265 sq ft tiny house on wheels is currently available for sale in Northport, Alabama. 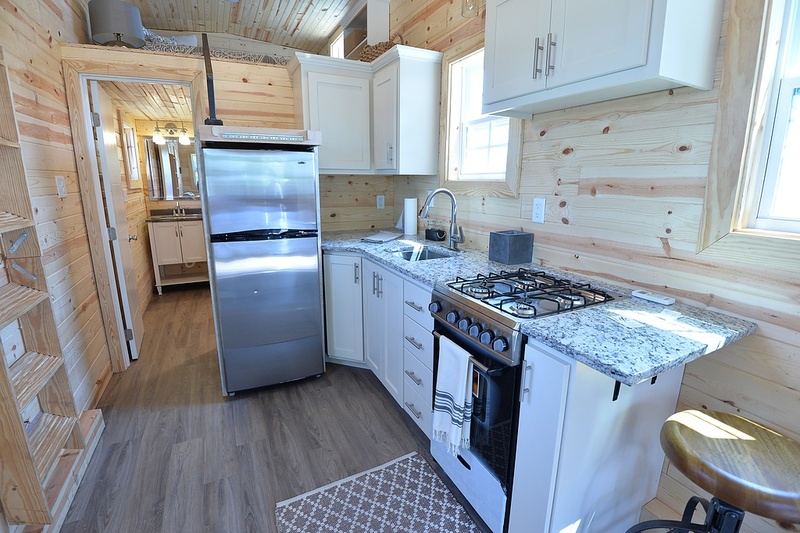 The is built with eco-friendly elements such as solar panels, double-paned windows to keep the home insulated, and Energy Star compliant appliances. The home’s layout includes a kitchen with granite countertops, a bathroom with a tiled shower, a living room, and loft bedroom. 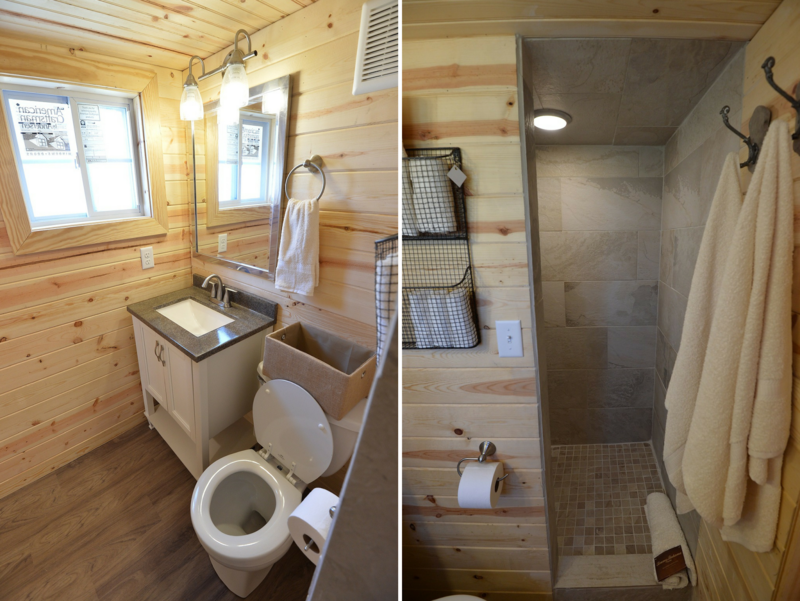 You can also add and/or customize various options throughout the home. 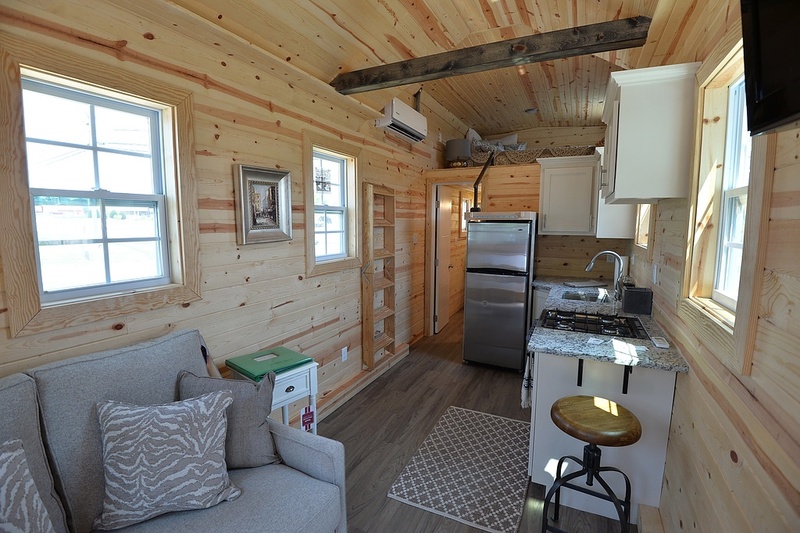 The home is currently listed for sale at $57,500.